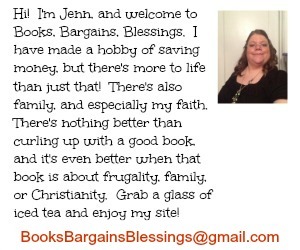 Books, Bargains, Blessings: What I'm doing differently next year. What I'm doing differently next year. The last two years have been hard. My world was turned upside down when my mother passed away and then I felt like my life was kicked to the side when I realized how many lies had been told about me in the last several months my mother was alive. Some of those lies were told to my mother about me. I hope now that she can see the big picture now that she is gone, she knows what was truth and what really happened. It's been a tough couple years and I've decided I've had enough of certain things. Not keeping silent to protect the guilty. My mother's sister wouldn't even answer the phone when I called her to tell her the funeral arrangements of my mother. I actually asked the funeral home to call so no one could say I didn't try to reach out and let them know. That side of the family showed up and some of them chatted during my mother's funeral service. There. I said it. I shouldn't have to keep silent to protect anyone's reputation even if they are blood relatives. I am no longer putting up with behavior that isn't respectful of me or those I care about. I am focusing on finances. My husband and I have decided this is the season of our lives that we can prepare for the next season. We talked and we feel my part is to try and make money and save money to allow our lives to be comfortable in the future. I still want to travel. It is expensive, but less expensive without kids. My husband and i are both healthy. My mother always wanted to see Alaska, and the cost of a cruise ship that offered dialysis on board was nearly double a regular cruise ship. My 4th grade teacher recently posted a meme on Facebook saying to travel, find a way, and make it work. That is what I am planning on doing. Branching out. I feel like I have my eggs in four baskets, so to speak. I want to start selling on places online besides eBay. I want to try Etsy, create products for Zazzle, get back into selling on Amazon, self publish a book or two of my own as well as start self publishing my mother's writings. Become healthier. Yes, that would include losing weight, but there's a lot of ways I can become healthier. Less stress for one thing. These aren't really resolutions. Just things that I am changing. Goals. What are you planning on doing differently in 2016?